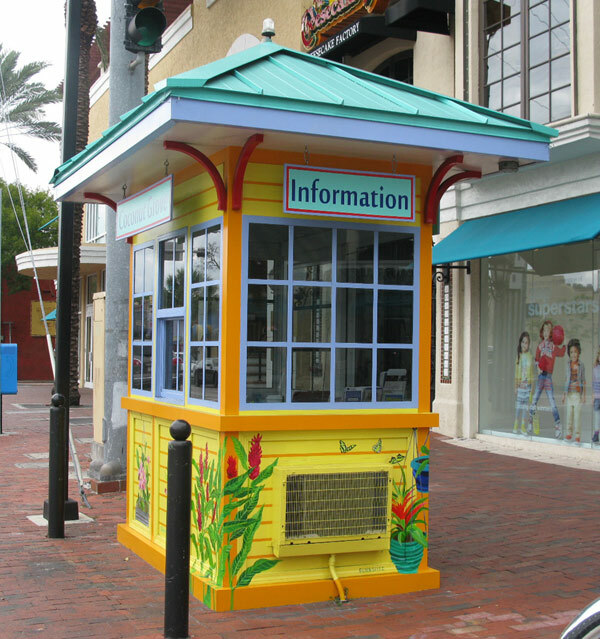 The black information booths may soon be colorful . The Black Information Booths may not be black too much longer. 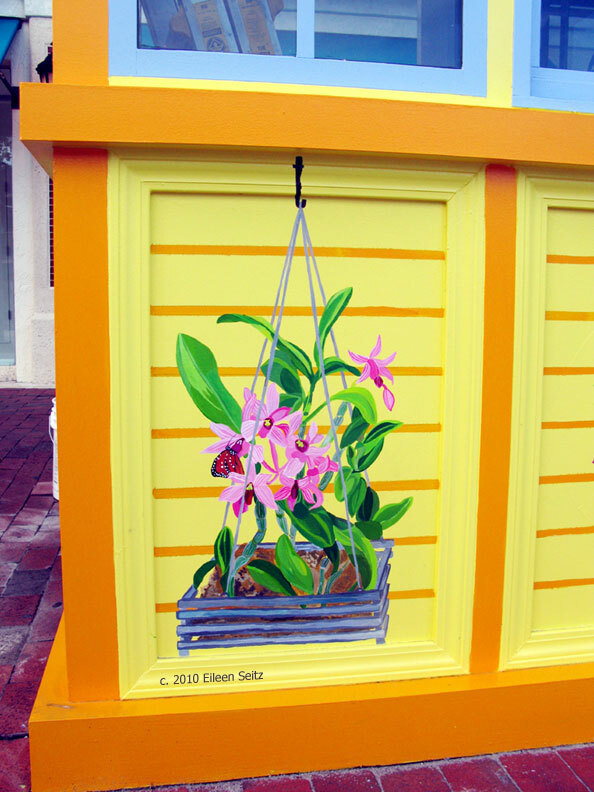 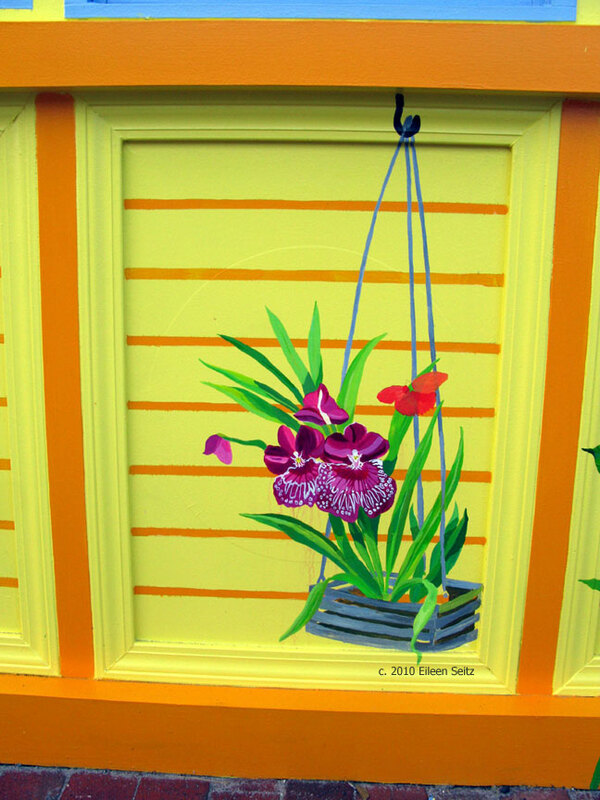 There is a plan in place to have local artists spruce up the drab booths with artwork. 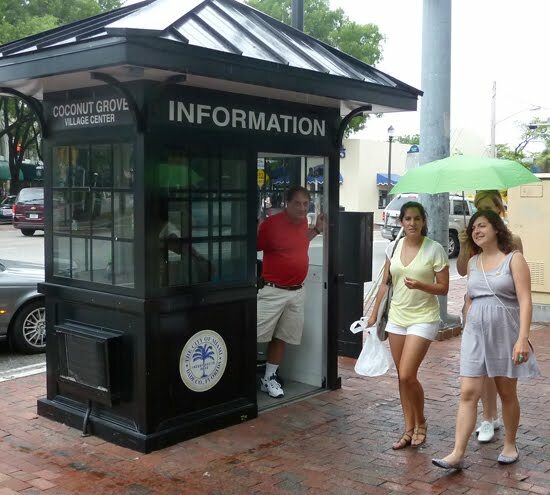 The first booth painted may be the one at CocoWalk, where Louis is shown here. 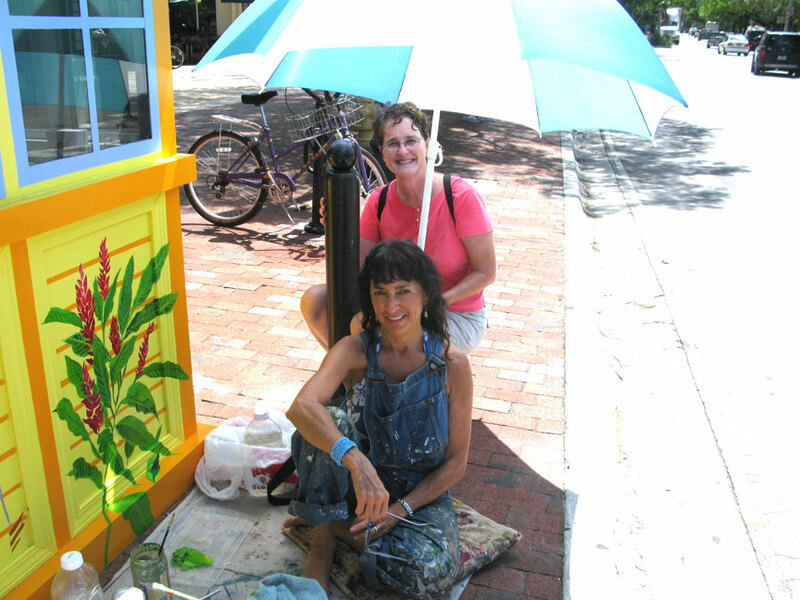 Local aritst Eileen Seitz, who did a couple of the peacocks (like the one in our masthead above) is said to be desiging the first one. 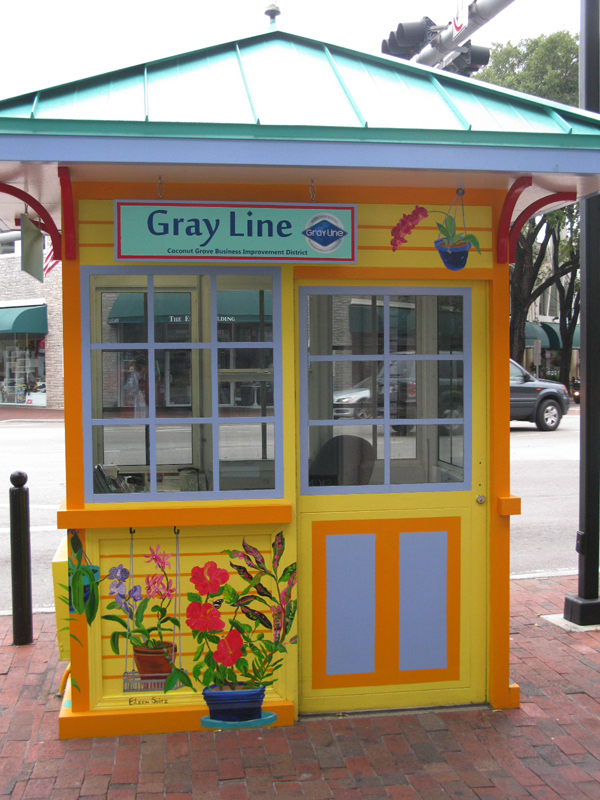 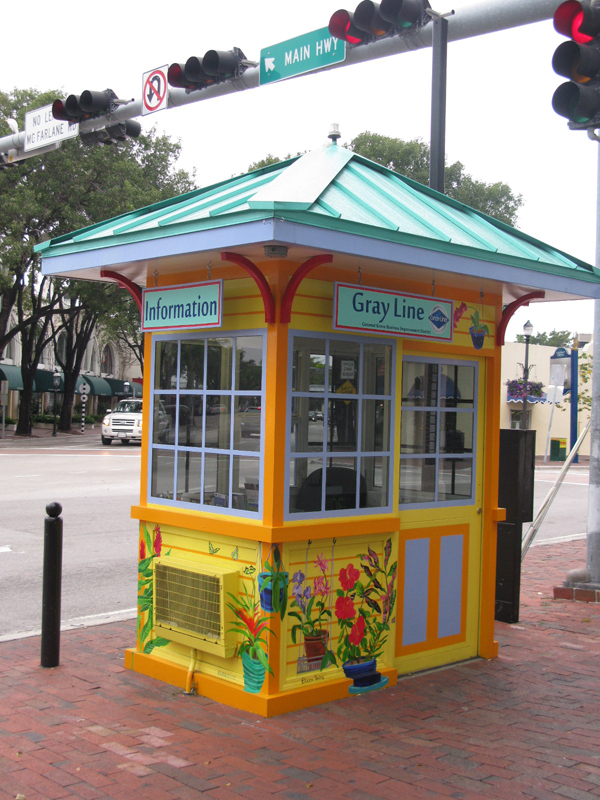 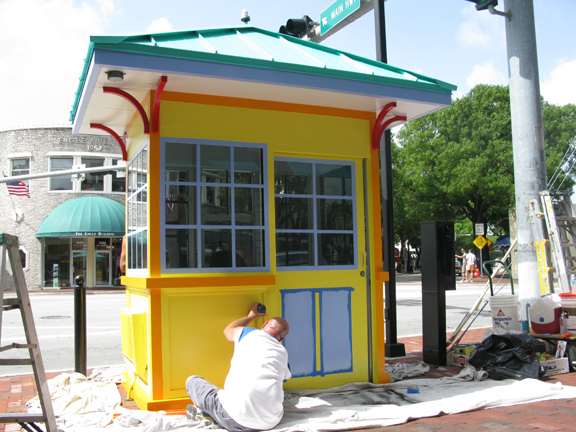 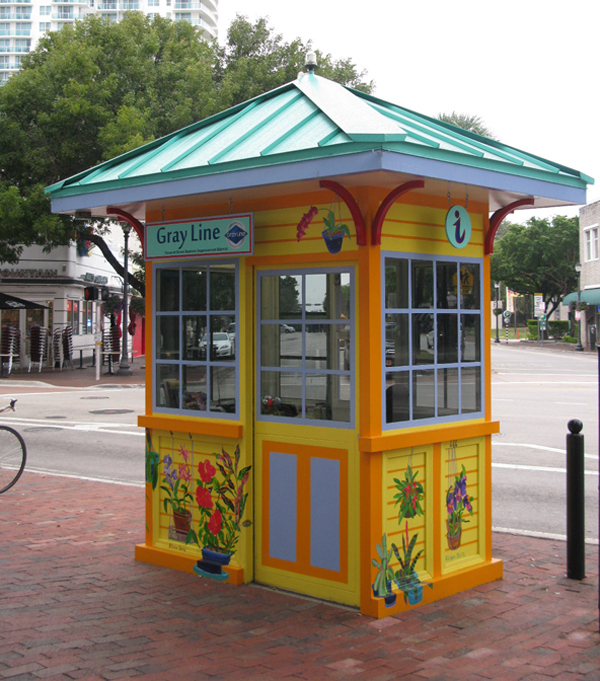 It is going to have a “Coconut Grove Colorful Kiosk”with plants painted around the “little bungalow”.